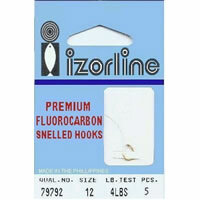 IZORLINE introduces it's new Fluorocarbon Trout Bait Leaders! Izorline has tested its fluorocarbon bait leaders for the past 3 years, and found significant increases in catch. 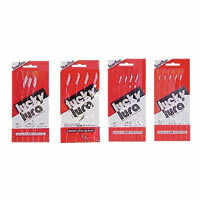 The approximately 18" pre-tied looped leaders come with premium snelled worm or Treble hooks in all popular sizes. A must for the serious freshwater angler! Try Us First – Inexpensive, Highly Effective!!! Proven To Catch Bait When Conditions Are Tough! Gold hooks, florescent beads, translucent artificial skin with reflective tinsel! The most successful jigging lure on the market! 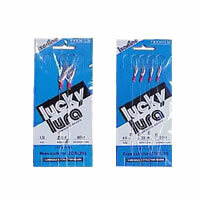 Real fish skin covered hooks with sliding luminous fish attractor beads. A proven catcher of mackerel, smelt, sardines herring, perch and squid.